Sometimes knowing the best meal to pick out from the menu of numerous recipes can be extra confusing, I know. It’s even more of a challenge in downtown Nashville, where the amazing food options are plentiful, and ever-growing. We’ve helped you here with a list of the Best 5 Dishes at the Best 5 restaurants of downtown Nashville. 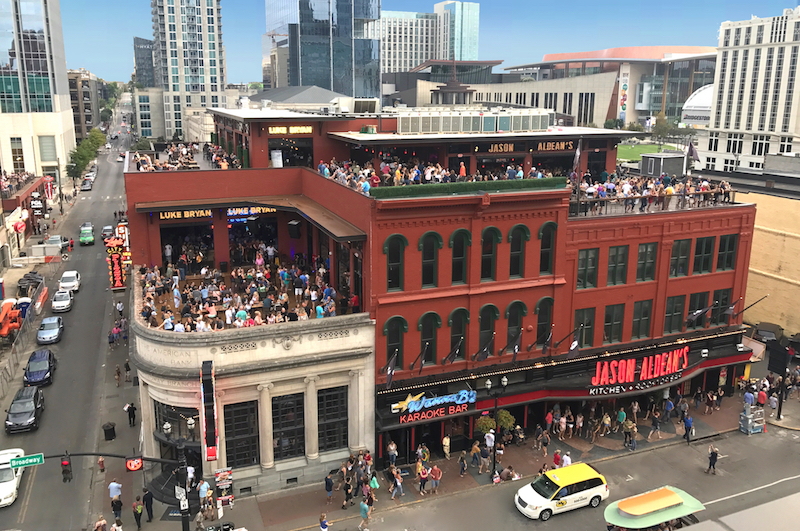 Opened by TC Restaurant Group in the summer of 2018, Jason Aldean’s Kitchen is located at the heart of downtown Nashville in the country music mecca. In addition to the incredible food, they offer daily live music performance on both floors with performances from National and local artists. 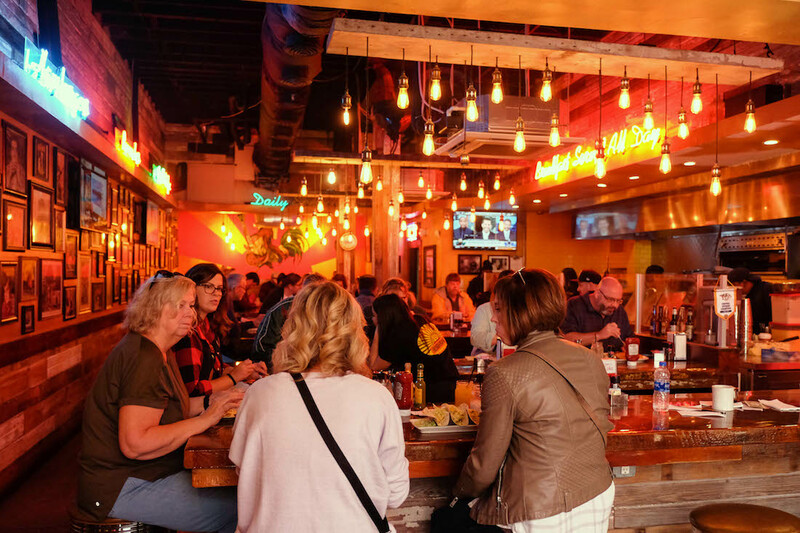 Not only was it just named Live music venue of the year by NightClub & Bar, it was also named Tige & Daniel’s favorite place to eat in Nashville. Southern Nachos: An amazing and healthy starter meal at Jason Aldean’s Kitchen, This starter Meal Recipe is made up of kettle chips, smoke pulled pork, bacon, chives, cheddar, queso, bourbon, bbq sauce. Spring Chicken Salad: Grilled Chicken, salad mix, cucumbers, red peppers, wonton, cilantro, sesame dressing, thai peanut sauce. Grandma’s POT ROAST: One of the Main chops at Jason Aldean’s Kitchen, Includes Braised certified Angus beef, carrots, parsnips, mashed potatoes and country gravy. Jason’s Mack & Cheese: This Main Meal Recipe is made up of beer pulled chicken, white cheddar, yellow cheddar and cavatappi. Southern backed cookie: Huge baked to order cookie and vanilla ice cream. And many other amazing food recipes, see them all here. 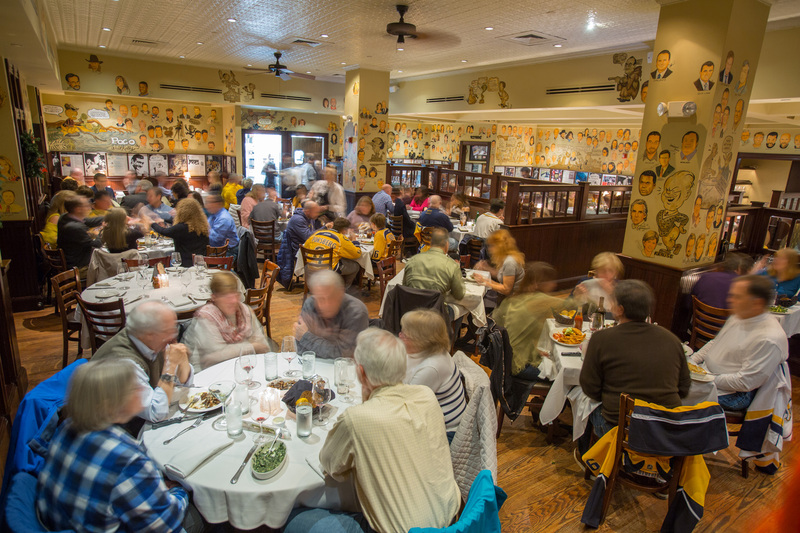 Located just off-Broadway, right across from the Bridgestone Arena, The Palm is an iconic steakhouse proudly serving aged USDA Prime beef, corn-fed, hand selected and aged a minimum of 35 days and the restaurant’s motto remains true: “the place to see and to be seen”. 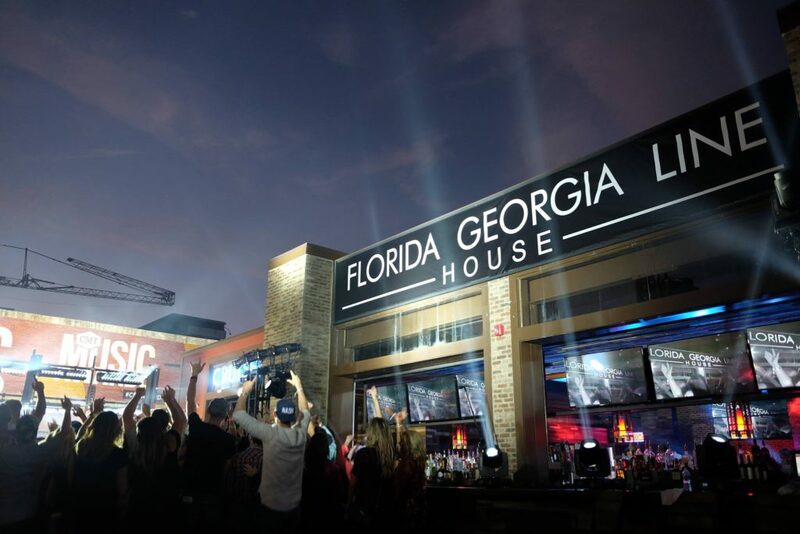 Get an all day and all night party at FGL House cruise, the biggest rooftop bar Nashville currently has to offer, while having an amazing view around the city. This world-class kitchen with a unique southern style cuisine is located on the 3rd avenue downtown Nashville in the heart of Music City, and features an all day music of the latest country trends with bars at each and every floor serving delicious cocktail menu inspired by the 90s pop culture and other local craft beers. Dirty Kettle Chips: This is an amazing starter meal at FGL House, this comprises of Smocked cooked pork, a crispy bacon, smoked cheddar queso, bbq sauce and chives. Ahi Tuna Salad: This is actually a nice chili salad you might want to try out regularly, this comprises of mixed greens, cilantro, lime sesame dressing, wontons, peanut sauce, cucumber, cilantro, chives and red peppers for certain. FGL Chicken & Waffles: This is one among’st the delicious main eats at FGL House, this recipe comprises of hot chicken, buttermilk waffles, smoked bacon, maple syrup and fresh herbs. Southern Cajun Fish Tacos: This is a main eat at FGL House, recently featured in People Magazine. This Dish comprises of Crispy catfish, green slaw, tomato relish and corn salsa. Classic Cheeseburger: This is also a main eat at FGL House, consisting of local Beef, American cheese, LTOP, mayonnaise and fries. Gluten-free bun also available. Opened and operated by Tom Morales and Tomkats Hospitality, The Southern is located on the ground floor of the Pinnacle at Symphony Place in the heart of downtown Nashville and features a shuck-to-order oyster bar, matter of fact it is consecutively named the best oyster bar in Nashville, with a real wood-fired grill, locally grown produce, deliciously tender meats and directly sourced, sustainable seafood. This was a record made for Nashville; the Sun Diner restaurant opened in 2016 was Nashville’s first 24-hour diner, Sun Diner, featuring the history of Sun Records and music and was rated the top Diner by TripAdvisor. This restaurant is located at the Heart of Music City beside the Johnny Cash Museum, and is open all day and night with amazing southern hospitality and farm-fresh cuisine. They possess a great food menu complimenting the unique interior designs that announces the Sun Records’ legendary artists we all have recognized for decades. Chicken Quesadilla: Present on the late night food menu, One of Sun Favorite recipe, consisting of Grilled Chicken, mixed cheeses, shredded lettuce, pico de gallo, sour cream drizzle. Breakfast Sandwich: This is an amazing starter meal at FGL House, consisting of organic egg, avocado and smoked bacon on a bagel. Million Dollar Quartet: This is a Classic meal at FGL House; here you’ll get to pick out four items out of the list which includes Crispy Bacon, Sausage Patty, Chef Thomas’ Hash Brown, Cage-free organic egg of any style, your choice of toast, pancake, waffle and fresh fruit. Short Rib Hash: Listed on the Sun Favorite as well, this includes Fresh potatoes hash infused with beer braised short ribs, caramelized onions and topped with fried eggs, béarnaise sauce, provolone cheese and fresh Arugula. Steak and Eggs: A Delicious and classic meal which includes New York Strip, fried cage-free organic eggs, and Chef Thomas’ hash browns.